The M-Class SUV is the original luxury sport utility in the Mercedes-Benz lineup. Comfortably sized, it seats five with room for plenty of luggage, drives like a sedan, and is a capable off-roader. New for 2014 are LED daytime running lights. All models are equipped with a seven-speed automatic transmission. Electronically managed 4MATIC all-wheel drive is standard on all models except the rear-wheel drive ML350 4x2. 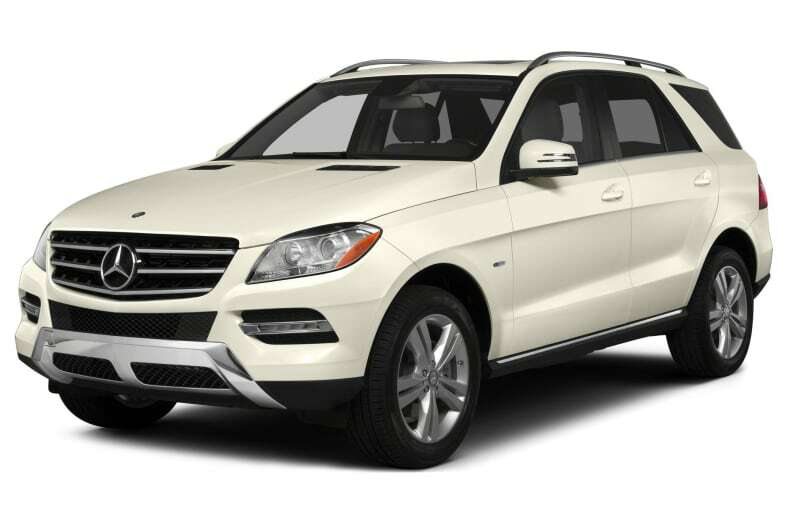 The ML350 BlueTEC is powered by a 3.0-liter turbo-diesel V6 generating 240 horsepower. The ML350 is powered by Mercedes' latest-generation 3.5-liter gasoline V6, generating 302 horsepower. The ML550 includes a 4.6-liter twin-turbo V8 engine with 402-hp and the ML63 AMG has a 5.5-liter twin-turbo V8 with either 518- or 550-hp and ECO stop/start. The extensively equipped M-Class includes standard features such as stability control and active front head restraints, as well as front, side, side curtain, and driver knee airbags. Collision Prevention Assist, a color display instrument cluster and Mercedes-Benz mBrace2 in-vehicle services are now standard on all models. Available features include a navigation package, satellite radio, bi-xenon headlamps, and a driver assistance package. The M-Class is a carryover for 2014.